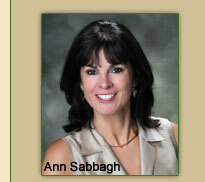 SEACOAST MORTGAGE OFFERS FHA SECURE ! The Federal Housing Administration has helped millions of Americans secure their dream of homeownership since 1934. Now FHA wants to keep those dreams alive. If you have an adjustable rate mortgage coming due or your interest rate is already too high, you owe it to yourself to look at the safe and affordable financing options provided by government-insured mortgages through the Federal Housing Administration (FHA). FHA provides mortgage insurance on loans made by FHA-approved lenders throughout the United States and its territories. FHA insures mortgages on single family, multifamily, manufactured homes and healthcare facilities. It is the largest government backed mortgage insurer. WHAT IS FHA SECURE ? FHASecure is a refinancing option that gives homeowners with non-FHA adjustable rate mortgages (ARMs), current or delinquent and regardless of reset status, the ability to refinance into a FHA-insured mortgage. With FHASecure, the lender will not automatically disqualify you because you are delinquent on your loan, and the lender may offer you a second mortgage to make up the difference between the value of your property and what you owe. So long as you are current on your mortgage and have sufficient income to make the mortgage payment, you are eligible for an FHASecure refinance. If you are delinquent, the default must have been due to the payment shock of an interest rate reset or, in the case of an Option ARM, the "recasting" of the mortgage to fully amortizing. By refinancing into a FHA-insured mortgage, you can expect to pay lower monthly mortgage payments. FHASecure can improve the quality of life for many communities by helping to reduce the number of mortgage defaults and bringing greater stability to local housing markets. ©2009 annsabbagh.com. All rights reserved.